The Daisy stud is a must if you are experiencing high numbers of lost tags or torn ears! The unique petal design will flex allowing the animal to pull away from snags instead of pulling until the tag or the ear rip. 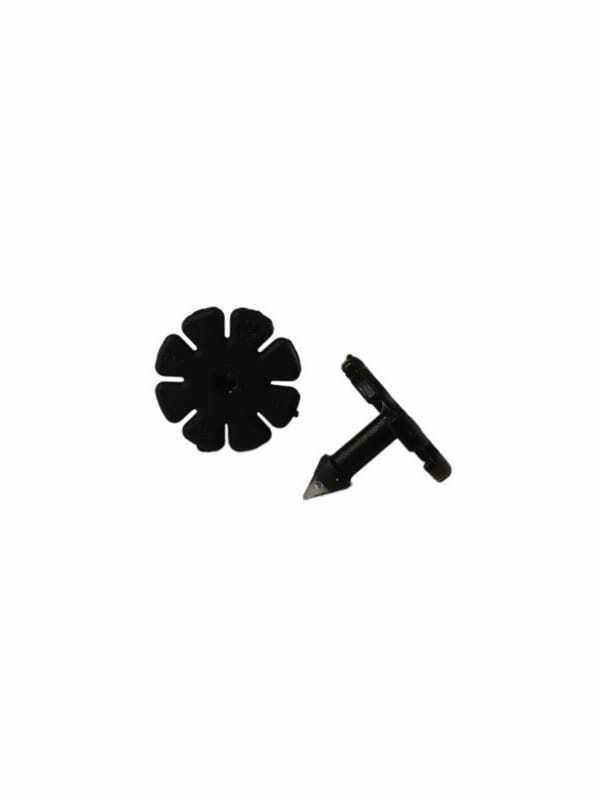 The Daisy stud has been proven to greatly improve tag retention rates. Always apply Daisy studs using the Perma-Flex applicator pin for proper alignment. The unique and special design of the Perma-Flex Daisy stud creates a superior snag resistant product that greatly reduces lost tags and torn ears. The tip of the stud is made from polycarbonate for easy piercing. This product has been tested in the most severe weather conditions. The petal design flexes and allows the animal to pull away from bale wire, brush and fences. 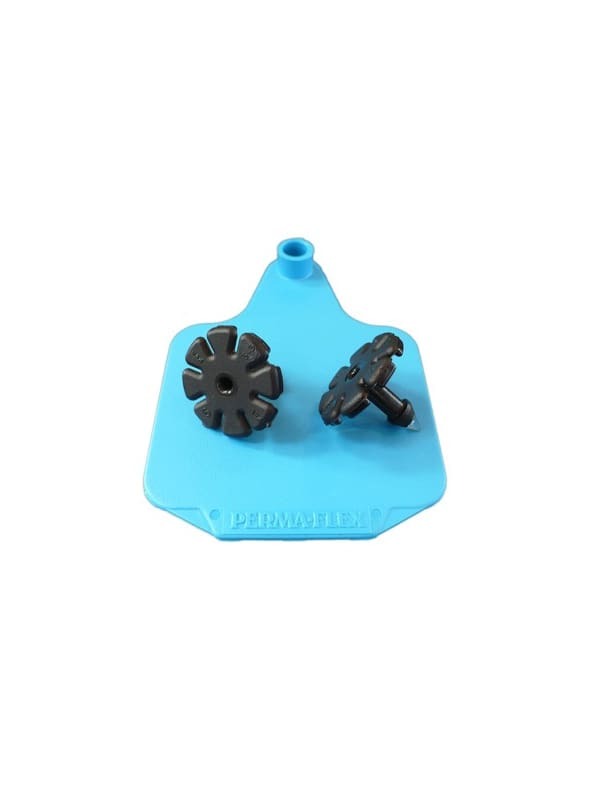 Perma-Flex Daisy studs must be applied using the Perma-Flex applicator pin (our pins can sometimes be used with other brands of applicators) so that the stud will seat onto the pin for proper alignment.